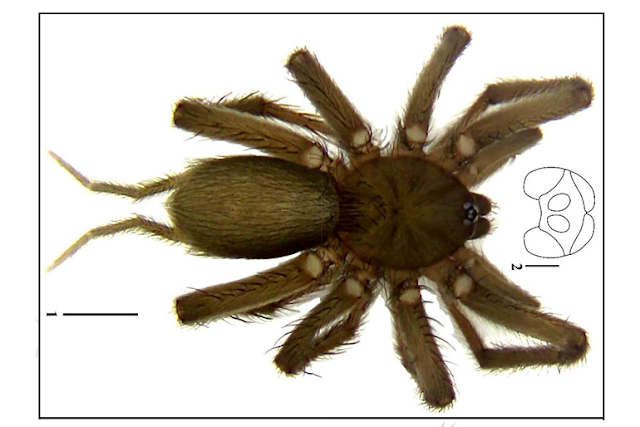 A newly discovered species of spider in the entrance of Pelpel cave in Pangasinan was named after Urduja or "Masteria urdujae sp. nov. In the paper published by co-author Dr. Aimee Lynn B. Dupo, M. urdujae has six eyes and currently the smallest of the recorded Indomalayan masteriine species. Dupo is a faculty member and Museum of natural History curator for spiders and moths, together with the University of the Philippines graduate student, Joseph B. Rasalan they documented the discovery of the Masteria urdujae. According to the authors, the Aasteria are part of a small yet moderately diverse group of mygalomorphs--primitive spiders which have retained many of the features possessed by their ancestral relatives. Included in this group are the tarantulas and trapdoor spiders. "We think it is just apt that we name the spider after a local figure from Pangasinan. It is part of our goal to raise awareness, hopefully, for the community's conservation of the species," Rasalan said in the Inquirer. So far, only two other masteriine species have been discovered in the Philippines. These are Masteria caeca and M. cavicola which were originally described 127 years ago from Rizal province.